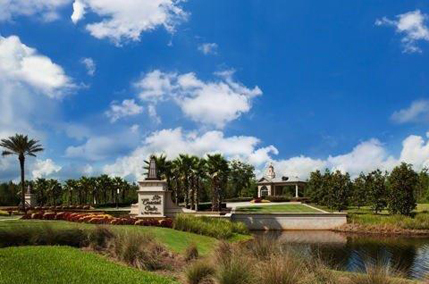 Coastal Oaks of Nocatee is one of the most established communities in Nocatee. It is the only gated community outside of Dell Webb, which makes it special. It has two fantastic pools, a large resident’s clubhouse with a fitness center, and large sports fields. It has a distinct personality, and there is a real sense of community. One of the best ways to learn about the neighborhood is via its HOA website. Or, we can connect you with an existing homeowner. Toll Brothers is the exclusive builder in Coastal Oaks, and they are known for building quality homes throughout the US. They specialize in the luxury market. Like most of Nocatee, Coastal Oaks has a variety of real estate and home inventory and lot options. There are estate lots where prices can head into the $900,000 range, but plenty of room in between. Toll Brothers has five model homes available at any point, and a fabulous design center where you can check out all of the latest style trends. The architectural style is pretty mixed. It started out with a more Mediterranean bend but has evolved into a real mix with plenty of coastal craftsman style homes. There are some great resales in Coastal Oaks, and home buyer’s stand to have the advantage with this inventory. Someone has put in all of the sweat labor, and all those hidden option items you don’t realize you want or need have been paid for. Think plantation shutters, water softeners, floor upgrades, high-end bath hardware. If you choose to build, remember to account for that above list in your pricing, or it can come back to bite you. Like all communities with a “starts in the $300,000s” price tag. That number can quickly elevate. Coastal Oaks is in North Nocatee, which means it’s one of the neighborhoods closest to the beach. School zoning has shifted a few times for Coastal Oaks, and the elementary aged children have been going to schools in Ponte Vedra Beach the last few years. However, with the new K-8 school slated to open in Nocatee on the North side of the neighborhood in Fall of 2018, that will change. At present, Coastal Oaks is zoned for Nease High School, as is all of Nocatee.